Vulnerabilities, faster attacks, files held for ransom, malicious code…Knowing how cyber criminals are threatening security is the first step to securing your information and ensuring your agency can effectively carry out its mission. The current state of cybersecurity in government and new initiatives, including the NIST cybersecurity Framework. Core findings from Symantec’s 2015 Government Internet Security Threat Report (GISTR). 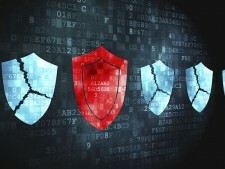 How new technologies such as cloud, mobile, and the Internet of Things impact security. Clever tricks malware authors use to avoid detection and why ransomware attacks soared 113% in 2014. Insights from government peers on leading cyber security initiatives and what’s next. Want more information? Read our event recap and be sure to download the 2015 Internet Security Threat Report here.